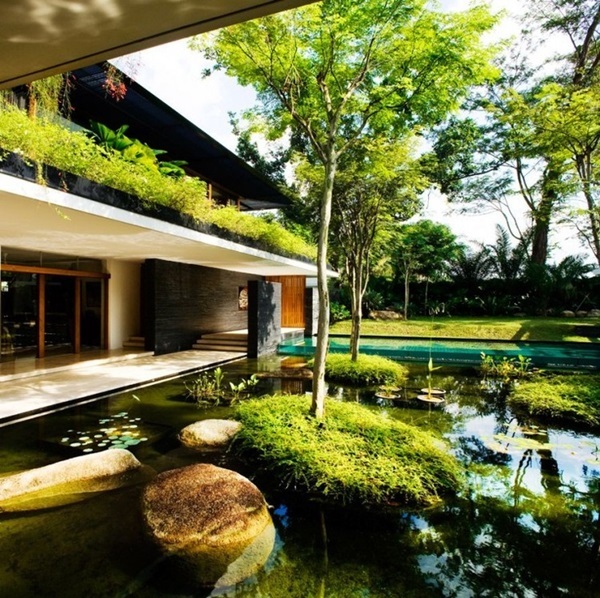 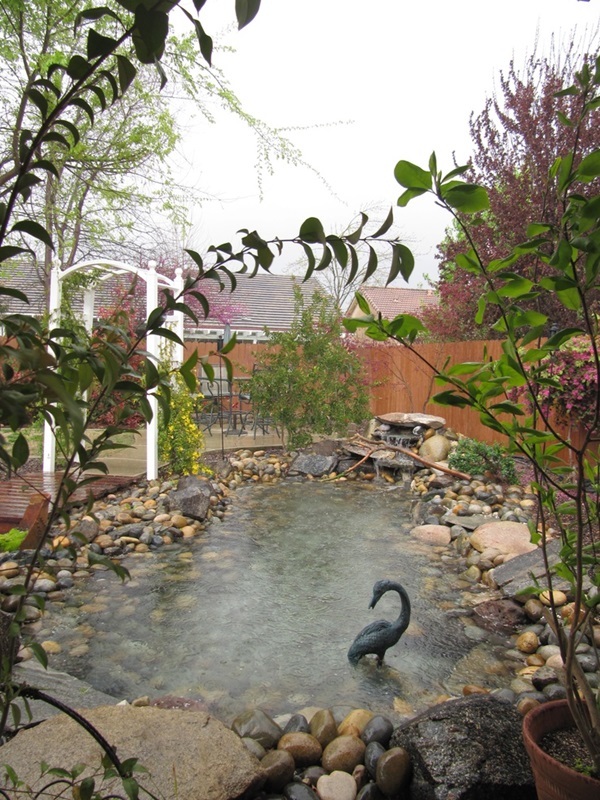 Many a times, a simple thing like having a backyard pond idea is something that will transform your entire home. 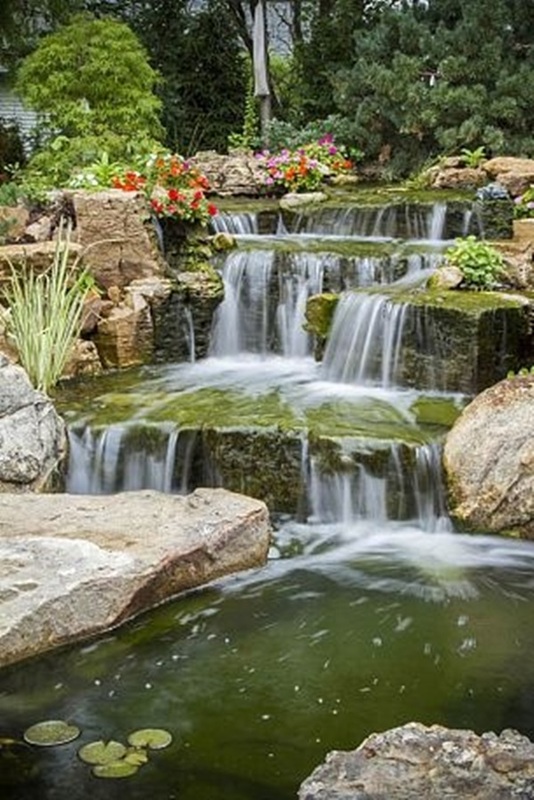 Yes, having a water body in your backyard is not something that is to be taken lightly as it takes a certain amount of maintenance not to mention planning to keep it looking good. 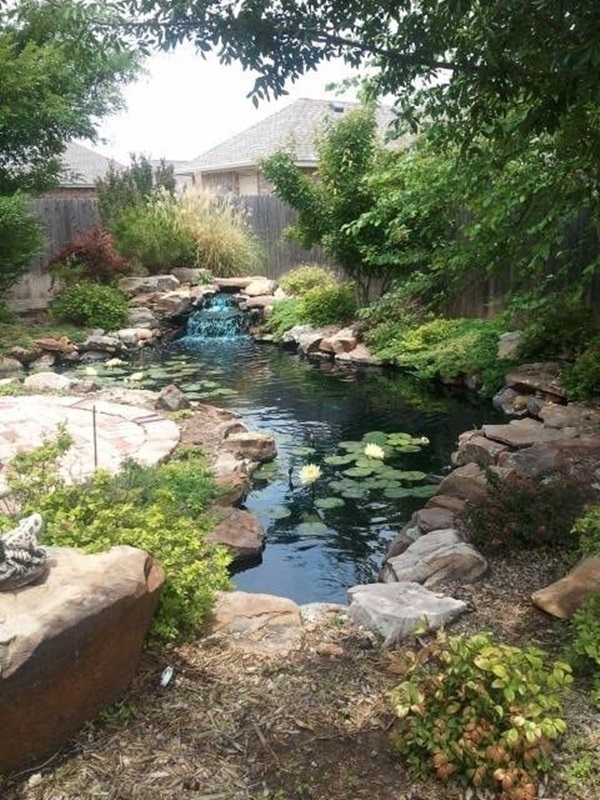 But when you weigh it with factors like how good it makes you and your family, then you will find that the cost of having a backyard pond is completely worth it. 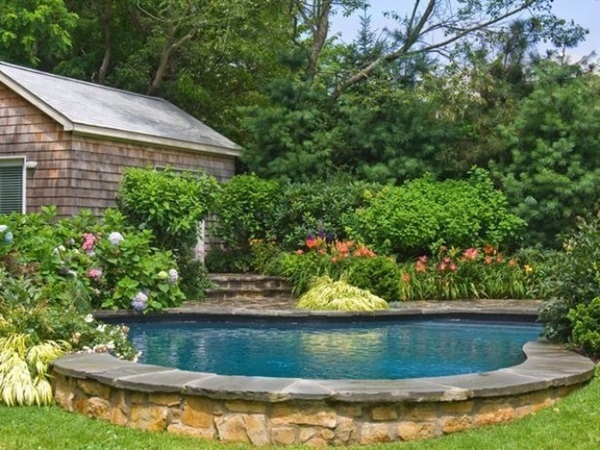 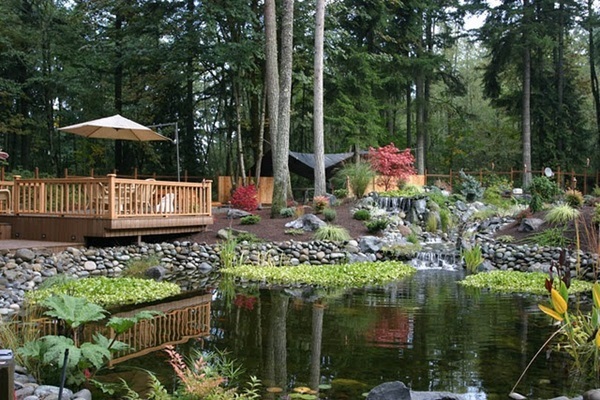 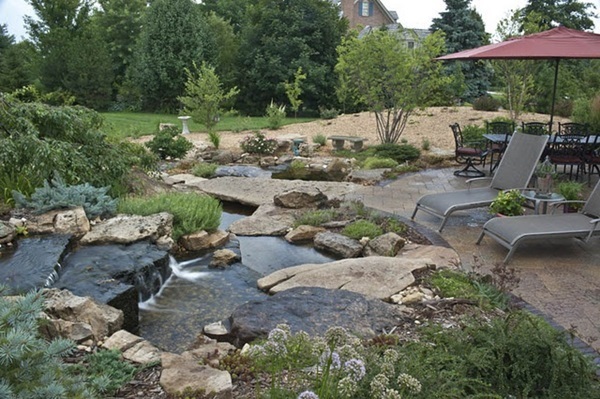 The next thing you need is some ideas on how to make the backyard pond elegant. 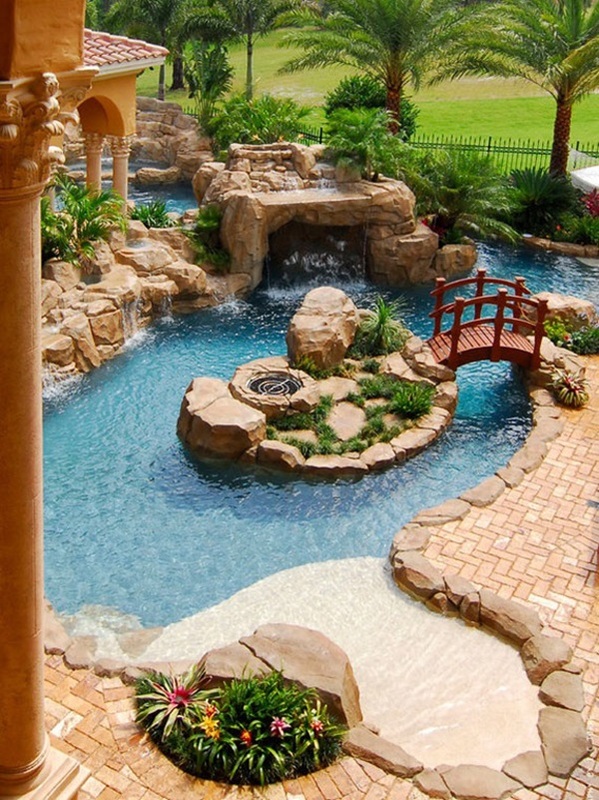 You could probably pick some ideas of these ridiculously cool indoor pool ideas. 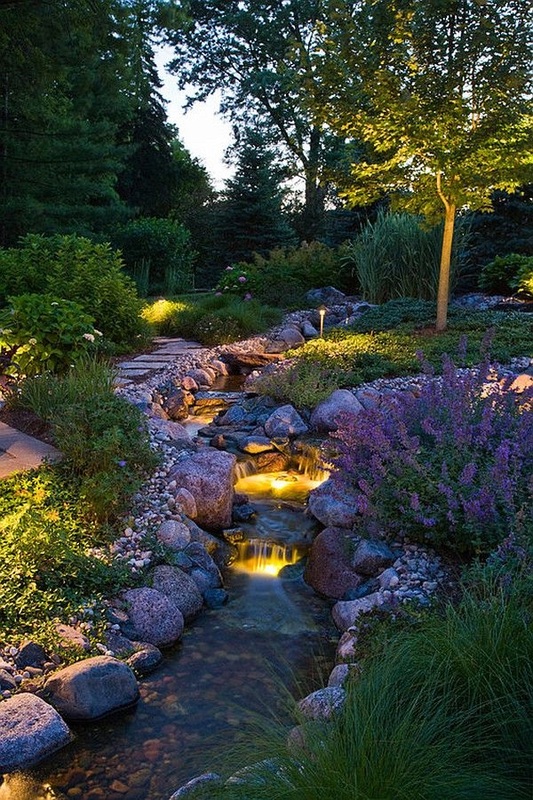 Or if you are the kind that believes in going beyond the normal and into the world of fantasy to look at elegant backyard pond ideas or pond fountains, then you could look at beautiful pictures from the shores of the mythical land. 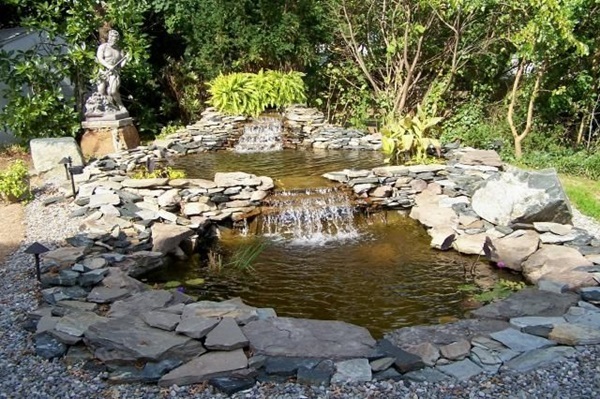 These are absolutely fantastic and beyond the realms of reality but there are some elements that you could possibly borrow and add to the pond idea. 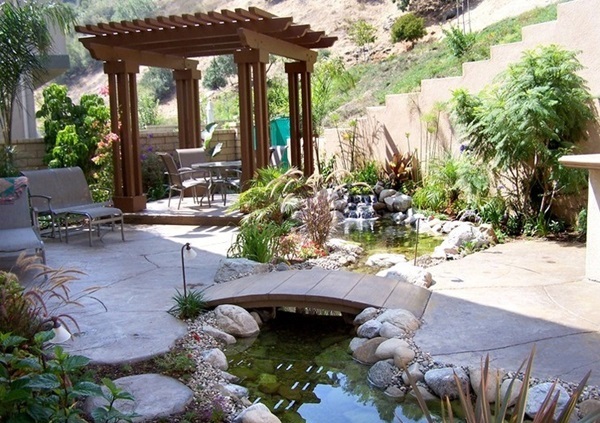 Or you could go the other way and borrow some elements from beautiful tree house ideas to make an elegant backyard pond. 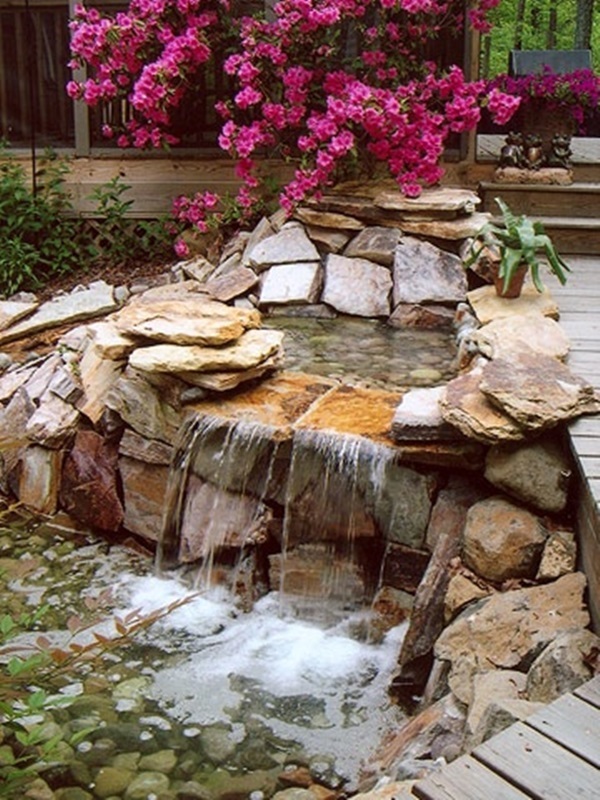 Simple yet beautiful: Sometimes the best way to have something like a backyard pond is to go with something that is so simple that its very simplicity makes it beautiful. 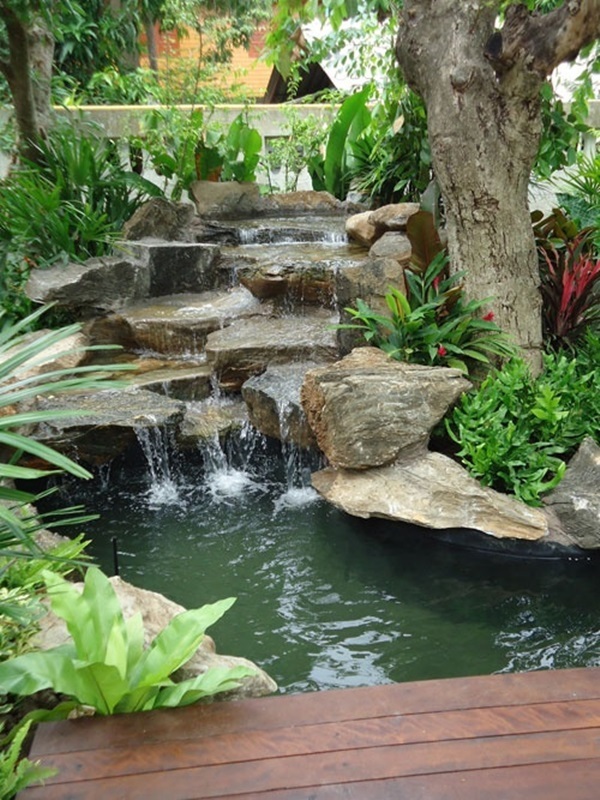 Plus, a simple pool is also very easy to take care off in terms of maintenance and cleaning which is also a factor that you need to think of. 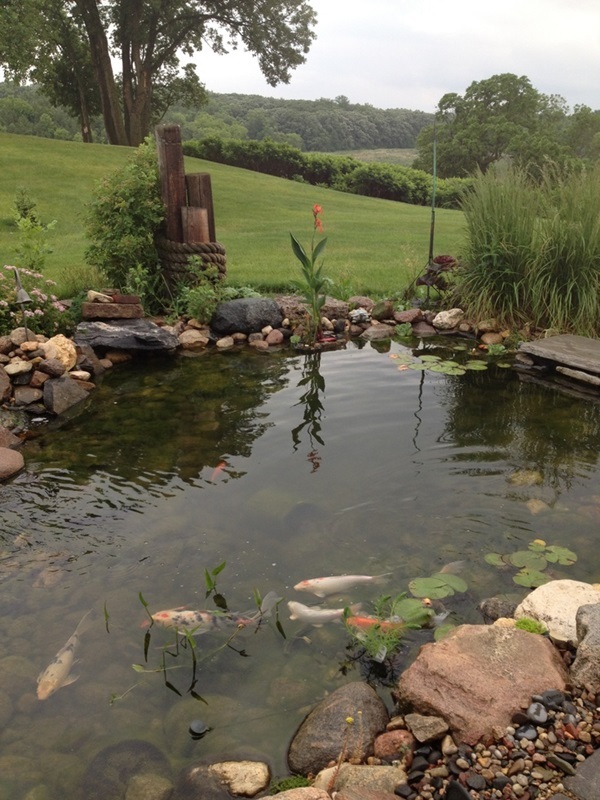 Rocky but stable: What makes it more natural than having a backyard pond than having rocks around it? 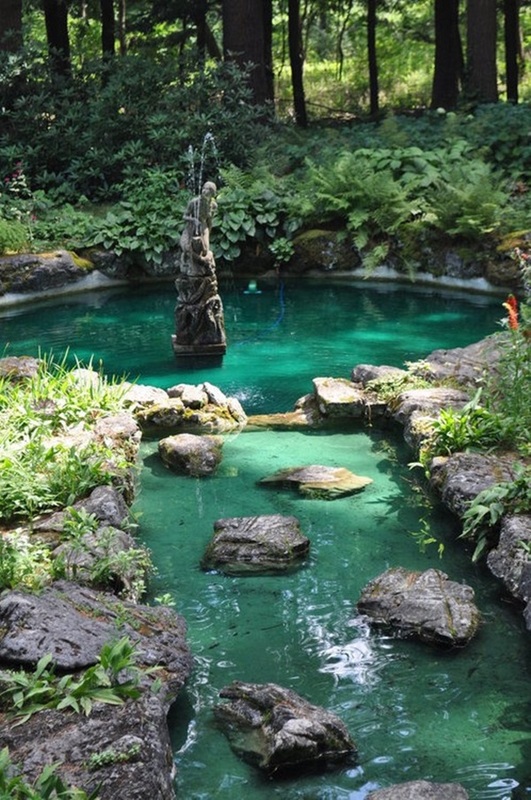 Well, you cannot think of nothing much that will work as well. 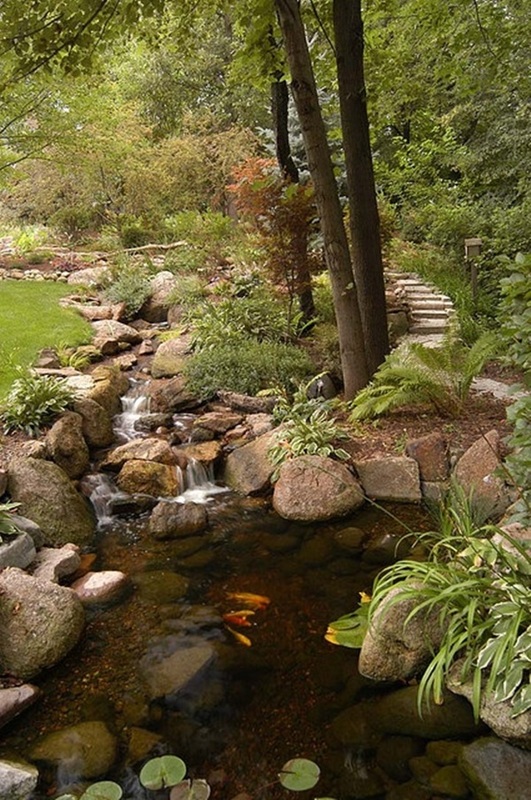 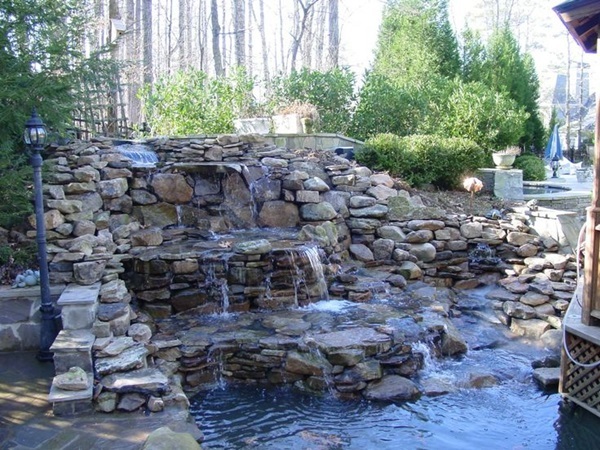 The fact is rocks arranged in a particular way as per your whimsy will make your backyard pond look even more elegant. 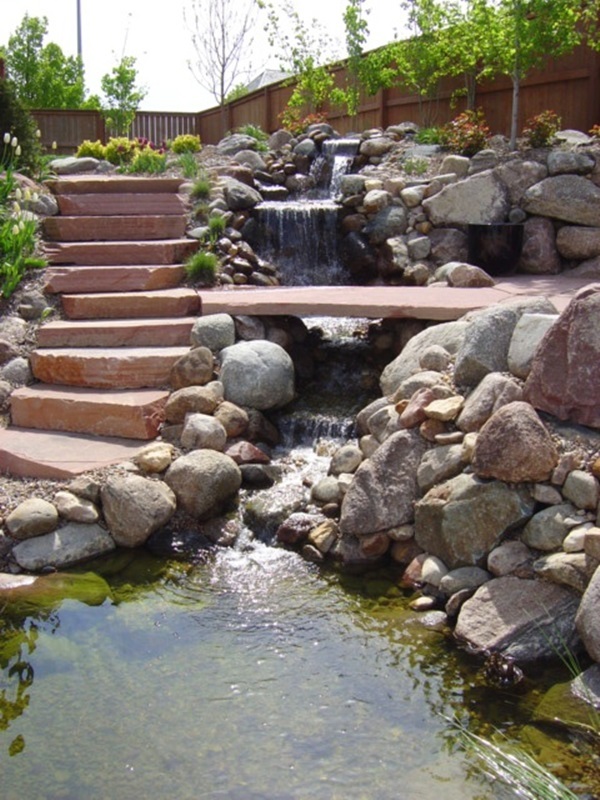 Plus, this offers many choices so much so that you can even add a bit of waterfall with the help of these rock arrangements. 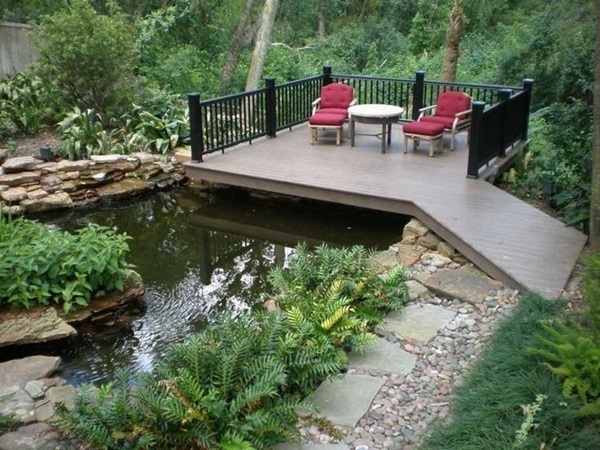 Bridge the gaps: A bridge that is built over a tiny backyard pond is the romantic dream that most of us have growing up, why not make it reality? 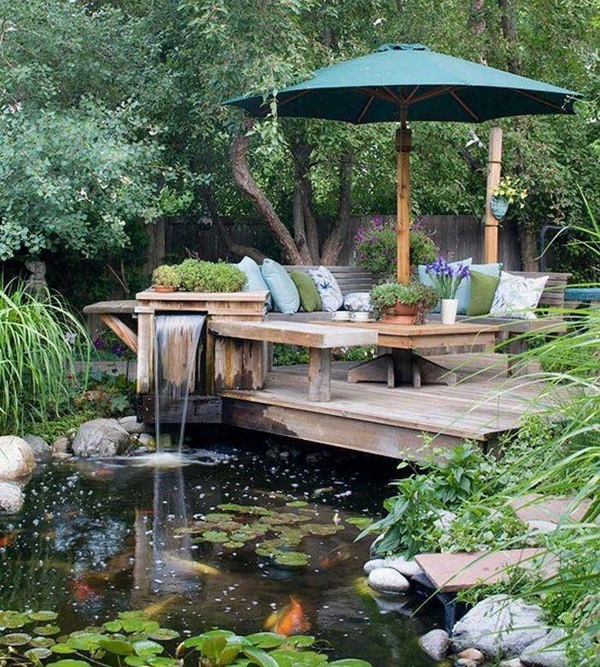 You can make a small bridge on the pond which will also offer you a place to read, hang out or even have tea or spend some time gazing out at nature when your busy life starts getting on your nerves. 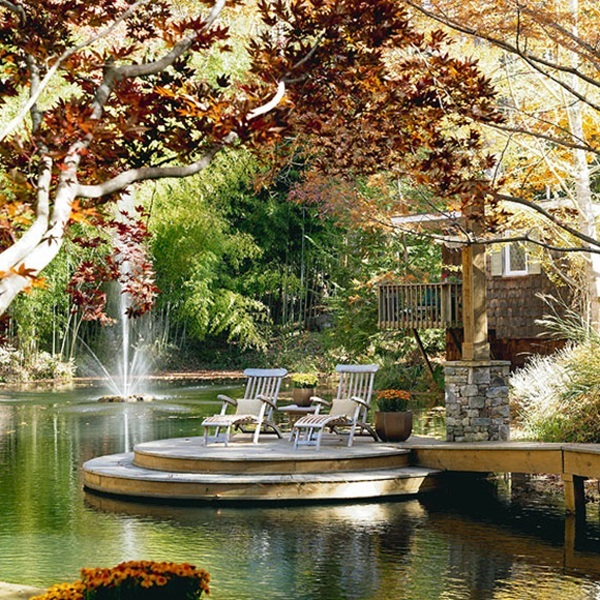 Outdoor fountains are also good idea to implant. 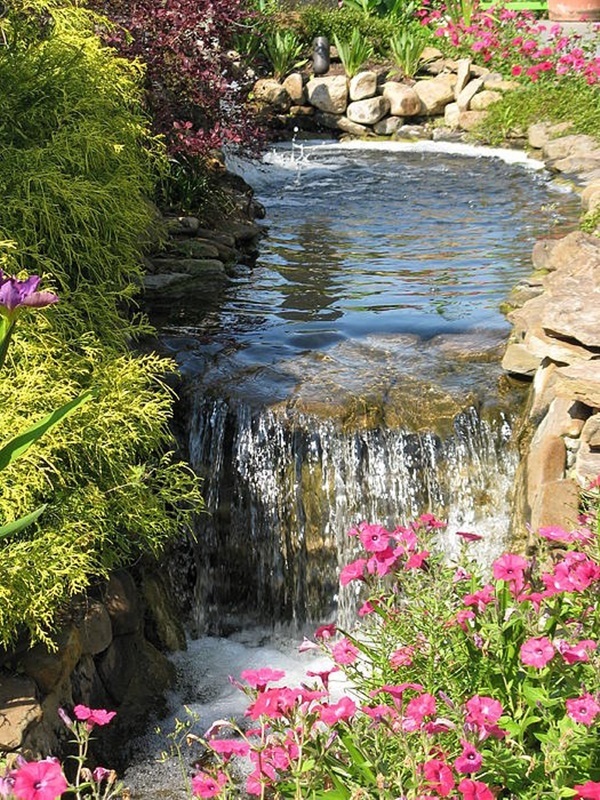 Say it with flowers: A simple flower garden planted around your small backyard ponds or waterfall is so thing that will look natural. 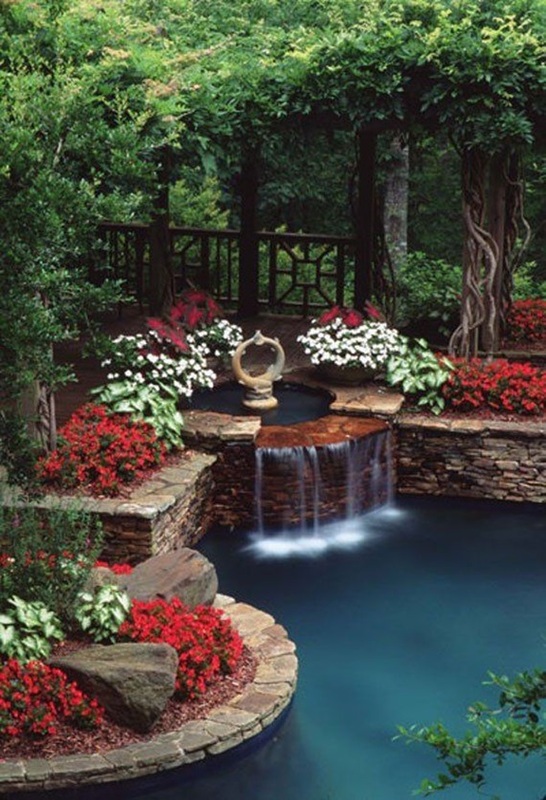 That apart this will also add color to the pond surroundings as well as some fragrance that comes naturally off the flowers. 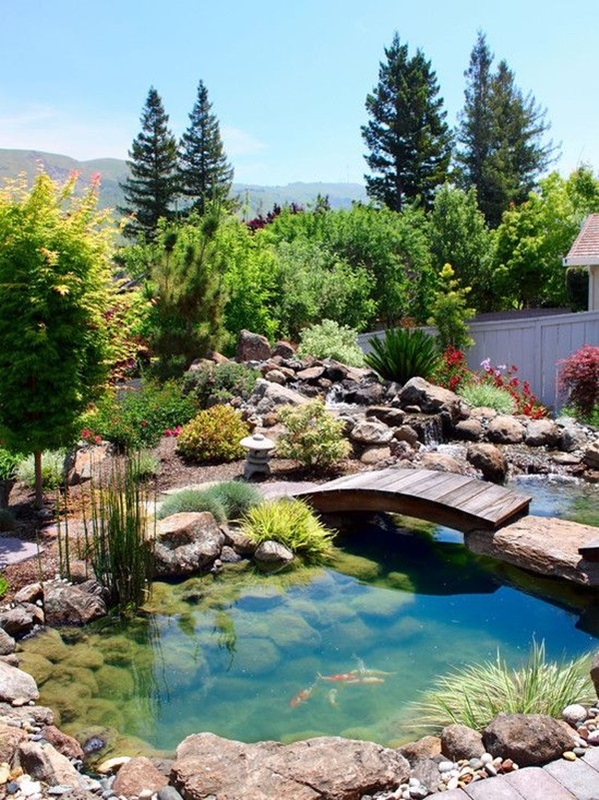 This can also be planted in such a way that you have a lovely and natural fence around your backyard pond to provide you some privacy also makes the backyard design more fancy. 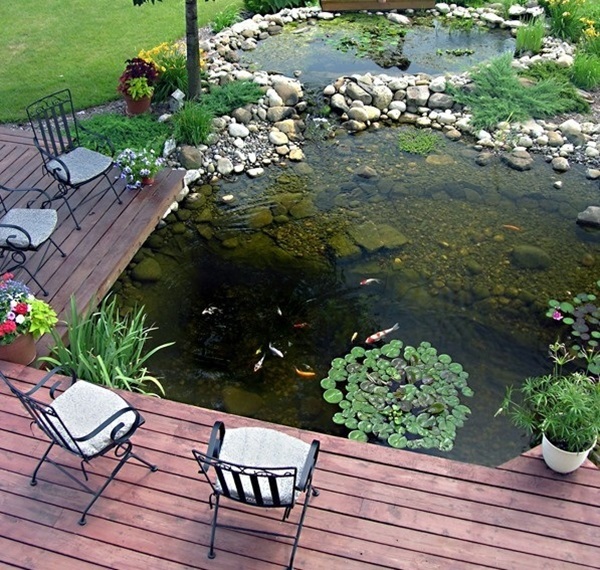 Wood is good too: Wood is another natural element that can be used in many ways to make the backyard pond even more elegant. 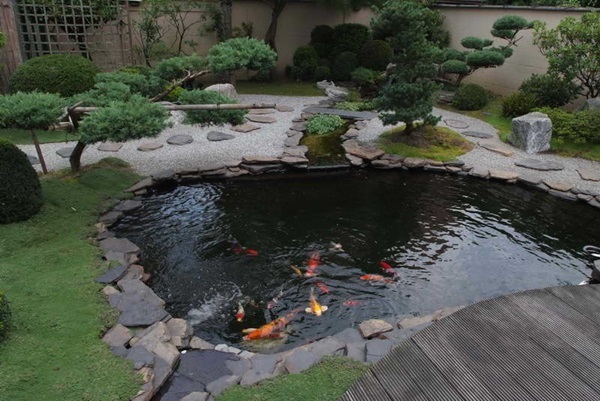 If you are planning for any themed pond then Koi Fish Pond could be an amazing decision. 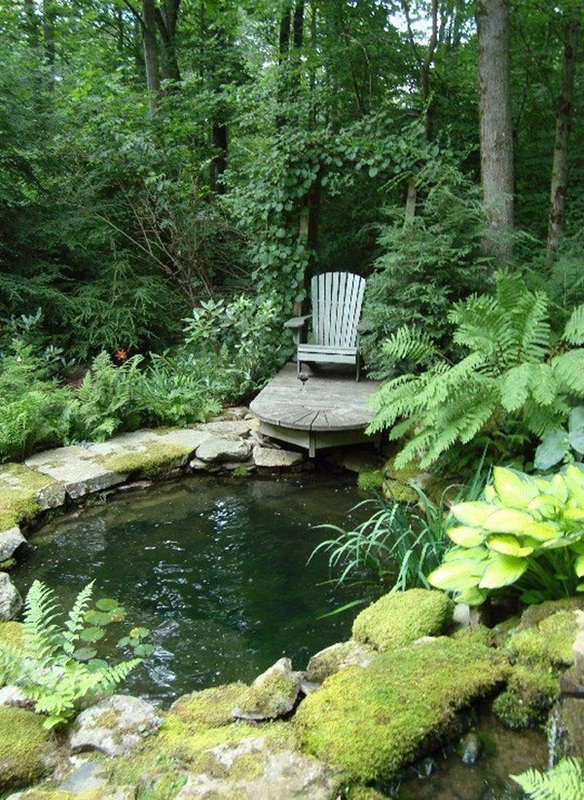 Plus wood has the advantage of being completely natural making it look very good and not at all out of place in your pond arrangement. 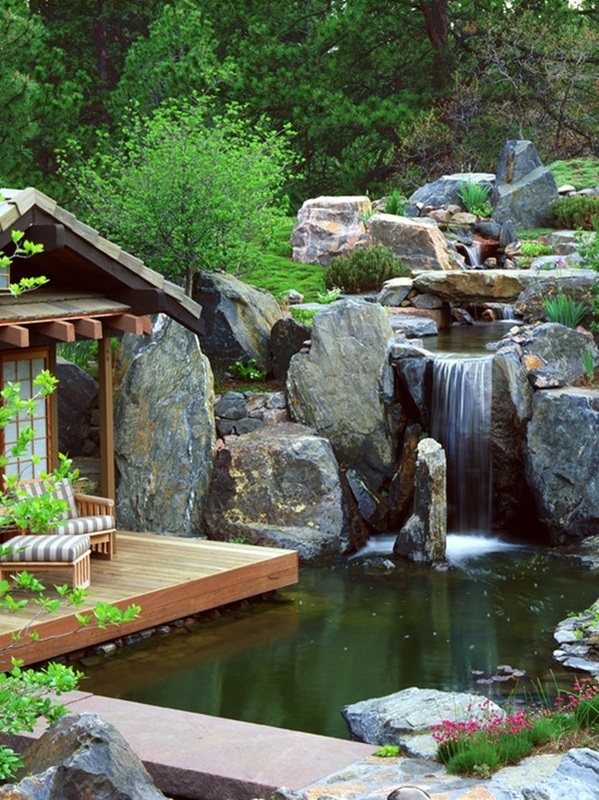 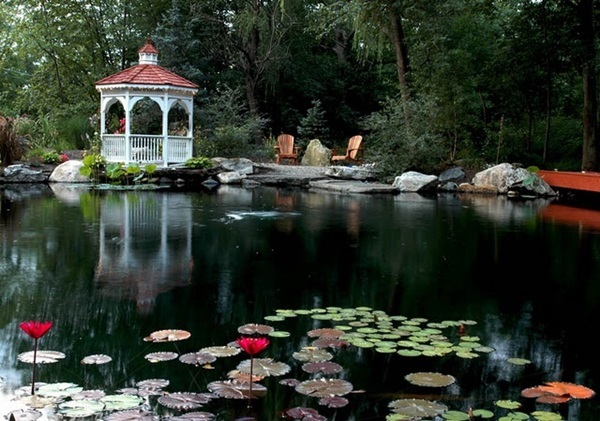 Using wood structures around the pond will also ensure that somebody does not inadvertently fall into the pond. 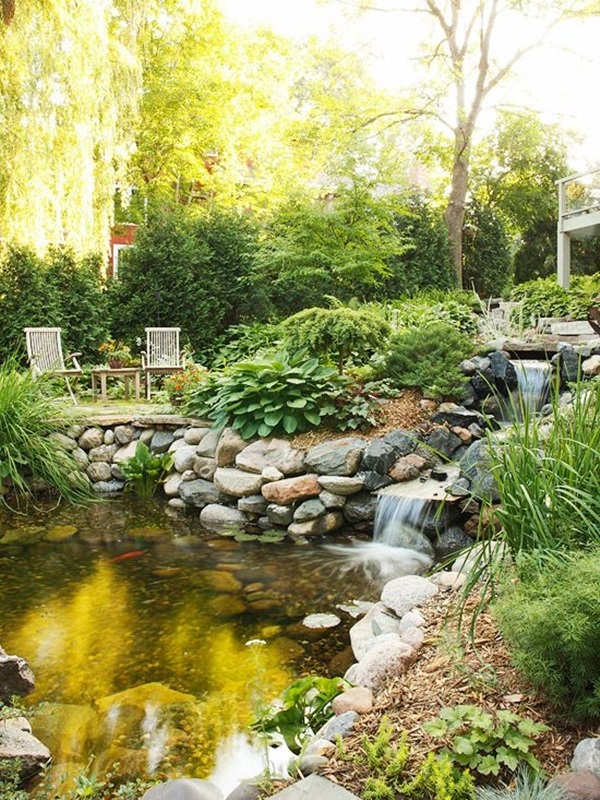 As you can see, there are many ways to go about having a small and elegant backyard pond for you to make your house look beautiful and add a touch of whimsy to the whole property. 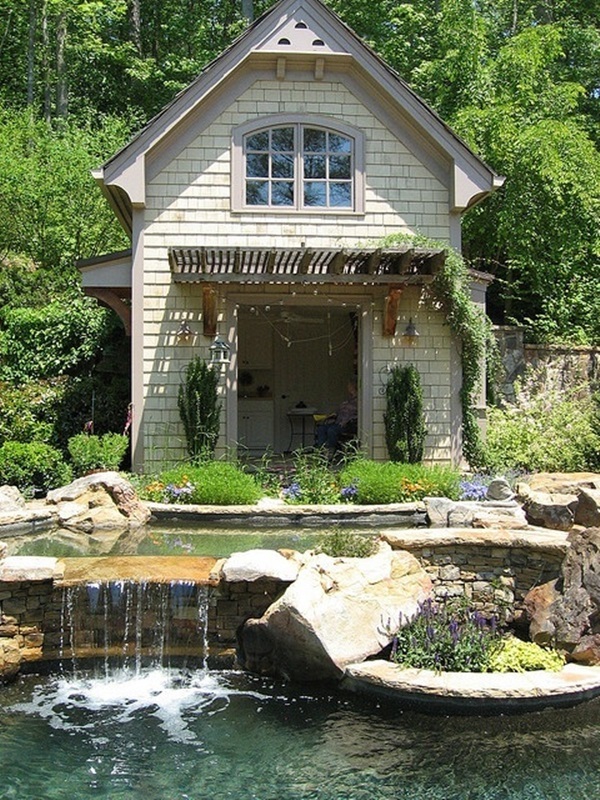 These are just some pointers on the way you could go about it and the accompanying pictures will give you more ideas.